Women are more concerned about weight management than cancer a survey has revealed, with mental and emotional health, menopause and chronic pain also featuring highly on the list. The Women's Health Survey found that women aged 65 and older were the most active. The Jean Hailes for Women’s Health survey also found over half the women (57 percent) reported they compare their body to family and friends. This was evident across all age groups. Women also reported comparing their body to actresses, media figures, athletes and models. 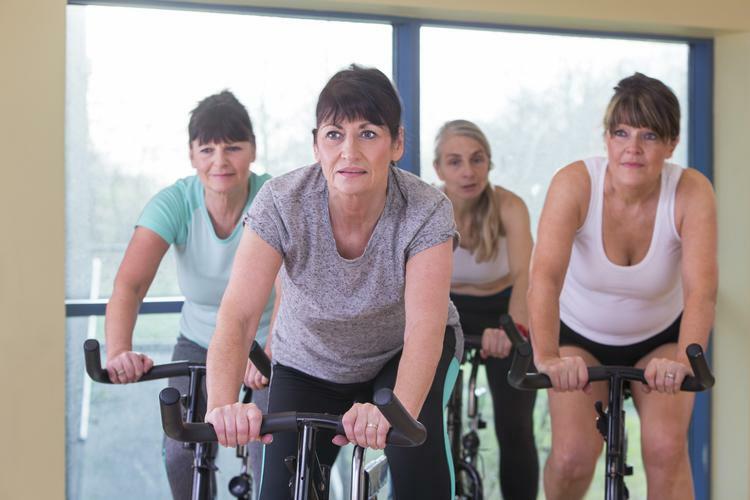 Interestingly, significantly more women aged 65 years and older were least likely to compare their body to others, with 54 percent of this age group reporting that they do not compare their body to other people’s bodies. More than one third of women nominated they felt ‘wound up’ and/or worried a lot of the time or most of the time. With younger women, those aged 18-24 years were more likely to report feeling ‘wound up’ and worried compared to those aged 65 years and older. When it came to physical exercise, interesting those aged 65 and older were actually the most active at 1.6 hours per day. Those in the 18-24 age bracket managed 1.4, 25-35 exercised for just 1.1 hours each day while those in the 36-64 range managed 1.3. The survey also found women are most likely to access health information from health professionals and internet searches and are least likely to access health information from social media and commercial organisations. Health professionals were also included in the survey, and they identified memory, endometriosis, polycystic ovary syndrome, family violence, ovarian cancer and natural therapies as health topics which women need more information on. The findings from these results have formed the basis for Jean Hailes’ annual national Women’s Health Week campaign (5-9 September). Now in its fourth year, Women's Health Week aim is to encourage women across Australia to focus on their health, learn more and take action. “Women’s Health Week is a great opportunity for women in towns and cities across Australia to find out what they need to know about women’s health, what they want to know and what’s not being talked about,” says Jean Hailes Executive Director Janet Michelmore. This year’s theme is ‘Am I Normal’ and it is encouraging women to take the time to ask questions, seek out credible information and work out a sound plan of action. As well as attending physical events, some 21,000 women across Australia are registered to take advantage of a week of online activities, videos, resources and information.